In recent decades pursuing social justice and Tikun Olam has become central to the Jewish conversation. This quiet revolution reflects a transformation of the Jewish collective ethos shifting focus from the wellbeing of the Jewish People to its contribution to society and humanity at large – from particularism to universalism. 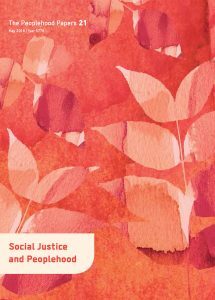 This collection of essays examines the development of Jewish social justice through the collective prism. When does it go beyond the values held by individuals, and become an expression of a Jewish collective ethos? Is that defined by the constitutive values of Judaism and Jewishness? How can we explain in historical terms the recent growth of the field? How does it connect to today’s Jewish ethos? How much is it a byproduct of a changing ethos, the force behind that change, or both?